and Well-Being among Trans People in Ontario, Canada"
This presentation is open to the public; admission is free. 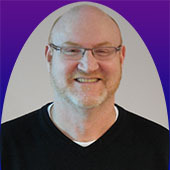 Background Dr. Travers is an Associate Professor in the Department of Psychology at Wilfrid Laurier University in Waterloo, Ontario and is a Canadian Institutes of Health New Investigator. Dr. Travers holds additional appointments at the Dalla Lana School of Public Health and the Centre for Research on Inner City Health at St. Michael's Hospital in Toronto. Dr. Travers is considered a leader in the community-based research movement in Canada; his work is focused on understanding the effects of social exclusion on gender and sexual minorities.